Lautoka is now leading the Vodafone Premier League Points table with 13 points after they beat Nadi 2-0 today. 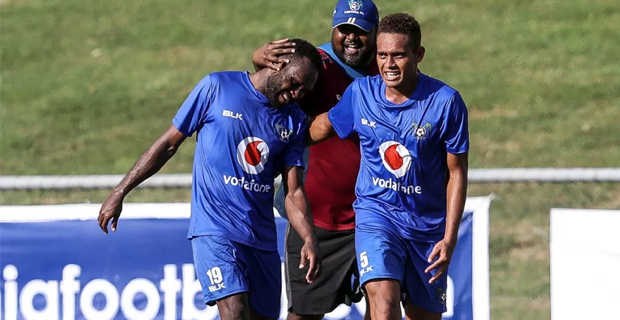 Lautoka’s goals were scored by Samuela Drudru and Benjamin Totori. Lautoka Football Association President Abdul Kadar says that there is a lot of threat from Ba but they are determined to defend their title successfully. Kadar says that Lautoka is now focusing on Vodafone Fiji FACT which begins next month. Meanwhile in another match Ba defeated Nasinu 1-0 through a 42nd minute Saula Waqa goal. Ba Coach Ronil Kumar says they are now focusing on qualifying for the OFC Champions League. Rewa has defeated Suva 1-0. Rewa’s goal was scored by Setareki Hughes in the first half.